State legislators, do not balance your budget at the expense of city government. You’ll end up hurting the very people we are elected to serve. TOO often in recent years, the state Legislature has adopted budgets that balance the books in Olympia by compromising funding for city programs and services that support law-enforcement efforts or maintain our local streets and neighborhoods. Lawmakers have cut liquor-tax distributions, capped other liquor revenues intended for public safety, and diverted funding from local infrastructure programs. By shifting revenues and cutting basic programs, legislators are compounding reductions that were made in prior state budgets. On behalf of more than 30 mayors, we urge state legislators to remember that the final budget they negotiate will have a profound impact on the services and infrastructure cities provide. These services touch the everyday lives of residents that we, city elected officials and state legislators, represent together. 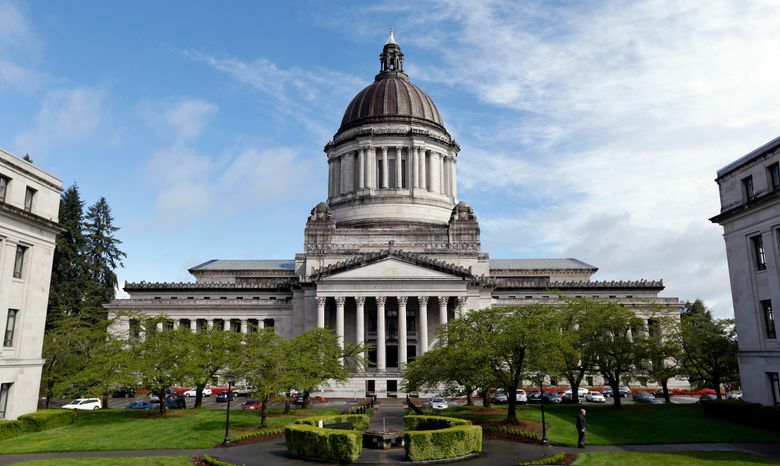 We are concerned that lawmakers may balance the books in Olympia at the expense of cities once again. Lawmakers in the Senate propose to shift the state’s share of pension costs for some police and fire retirees to cities and counties, creating an additional $70 million liability for local governments. This is the equivalent of laying off 350 police officers or firefighters statewide. In addition, lawmakers in the House propose to reduce the city and county shares of revenue generated from the sale of marijuana, despite an overall increase in marijuana revenues of more than $250 million. This revenue is intended to help cities ensure the lawful sale and use of marijuana, while addressing any negative impacts that might occur. Besides shifting revenue away from cities, lawmakers have also proposed program reductions. Cities would absorb the brunt of a $50 million cut for housing and essential needs, at a time when our cities are facing historic levels of homelessness. This would be a major setback in our efforts to provide affordable housing and services for our struggling neighbors. A proposed delay in funding for the state’s Law Enforcement Academy would further penalize cities. Without state funding for additional law-enforcement training classes, our newly hired police officers will be sitting behind desks for several more months, instead of enforcing laws out on our streets. Some state legislators claim that cities are doing just fine and that our local revenues increase with the robust economy. But that assertion ignores cost factors. The same economic drivers that increase our local revenues also result in growth and infrastructure demands that outstrip cities’ existing capacity to respond to growth. Consider too that the combination of state reductions in funding and a shrinking level of federal assistance has already strained the level of services and programs cities can provide for our residents. If the state further reduces cities’ resources, we will be forced to make up the difference by cutting vital services and programs our residents rely on every day. For these reasons, we urge the Legislature to remember that cities are communities made up of people whose lives are impacted when local government funding is cut or eliminated. At final budget time, lawmakers must consider the impacts of their budget decisions on those residents. We respectfully ask state legislators to avoid balancing the state budget at the expense of city government and avoid making funding cuts that hurt the very people we are elected to serve.